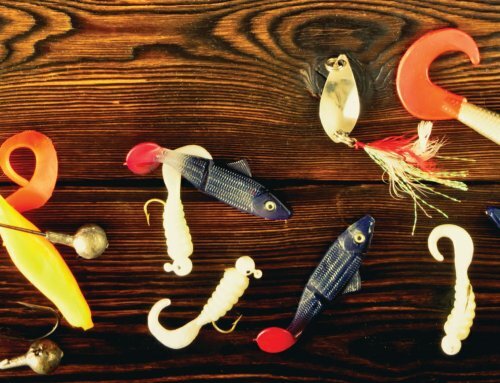 Lure presentation is always an important part of fishing success. 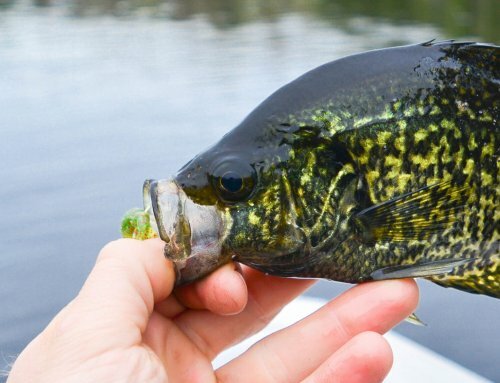 For sure you have to find them before you can catch them, but in open water or while ice-fishing, once you find the fish, you have to make them bite. One way to make them bite more often I learned quite a few years ago is to put a glow on your lure. Here’s what I mean. It was during the crappie explosion on Upper Red Lake in northern Minnesota: Duane and John Peterson and I were fishing for crappies through the ice. John and Duane were experimenting with glow-in-the-dark lures. The paint, paint application, and activating the baits were still a pretty new thing to lure manufacturers like the Peterson’s. We had this little flashlight that was kind of like a mini black-light. You would press a button that turned the light on. Then we put the light up close to the lure for a couple of seconds to make the lure glow. We put it down the hole and it caught crappies. 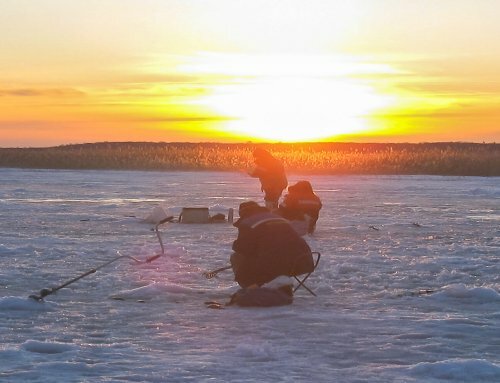 We would fish for twenty or thirty minutes and catch the crappies fast. If we saw them on the depth-finder below us, we caught them. After a while, the catching slowed, then stopped. We could still see fish on the depth-finder, but they wouldn’t bite. Everything was exactly the same, except one thing: Our lures weren’t glowing anymore. Remember, we were pioneering the use of glow paint and lures and little flashlights that made the baits glow. We re-charged the lure with a shot from the flashlight, put it back down there, and started catching fish again. There was no doubt that the glowing baits caught more fish than baits that didn’t glow. No doubt, and not by just one or two fish. Baits that glowed caught fish 10-1 better, and they still do in some situations. And the good news is, modern baits glow brighter and longer than the originals from years ago. Upper Red Lake has stained water: You can only see down a couple of inches. At night, it is very dark below the ice. Glow baits may be the only baits the fish can see in these situations. But there are plenty of times, even on clear water lakes, that a glowing bait catches more fish. I’ve seen it on Leech Lake in Minnesota, Waubay Lake in South Dakota, Devils Lake in North Dakota, and lots of other lakes across the Midwest where adding some glow to your bait will help you catch more perch, walleyes, and crappies. If you’re fishing stained water, it would be a good idea to glow all the time. In clear water, the low light hours, early in the morning and late in the afternoon, are the best times to glow. Experiment during mid-day with glow and no-glow. Sometimes in clear water during mid-day no-glow is better, but often it doesn’t hurt. Northland Tackle has been in on the ground floor of researching and creating glow products. They have several baits that are listed as “UV”, and a new Glo-Buster UV flashlight. These baits glow better and longer, and the new flashlight does its job quicker than glow-lights of the past. 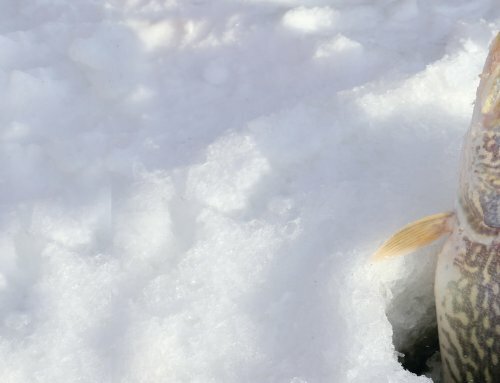 Ice-fishing is a great time to experiment with baits that glow because it is easy to see how fish react to glowing baits. 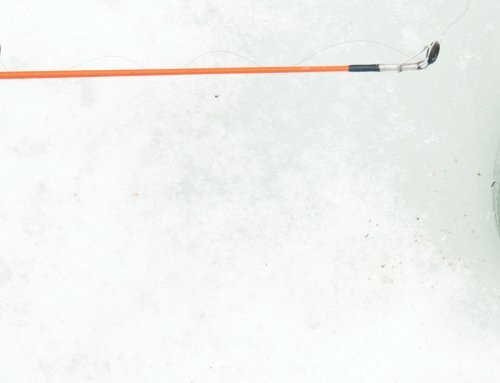 And, once you see how well glowing baits work under the ice, you’ll want to try them in open water.